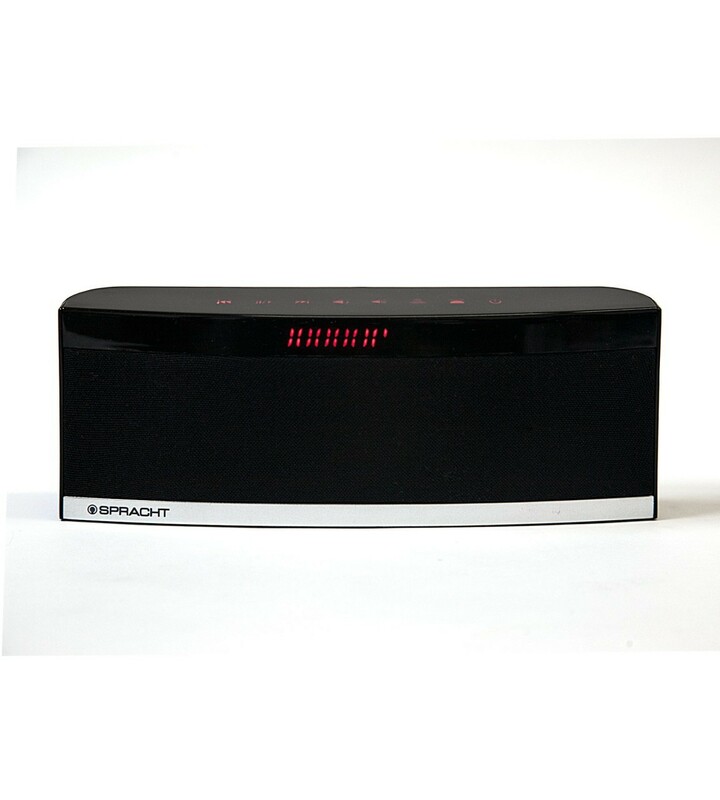 The Spracht BluNote+Chat is a portable, wireless, battery powered speaker that allows you to listen your music and have a conversation with someone wirelessly on the go. The BluNote+Chat’s best quality is the portability of the speaker without eliminating good sound. 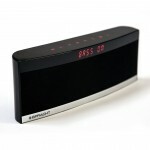 The speaker is available from Spracht for $99.00 or $54.99 from Amazon. Let’s see if it’s the speaker for you. One of the first things you will notice about this speaker is it’s size. The speaker is very small and very light. It makes you wonder how such a small speaker would ever produce a good sound. For what it is, it produces excellent sound. The portability of the speaker, I feel is it’s biggest point. It is small enough to fit in a large duffel bag or small backpack, perhaps even a large enough purse. The speaker is all black for all of the speaker except a nice silver brim at the bottom of the speaker that adds to the look of the speaker. The speaker has a nice black chrome finish, with the speaker felt below it and of course the aforementioned silver lining at the bottom. The top of the speaker has a set of touch sensitive buttons that light up red. These buttons add to the overall cool-ness of the speaker. 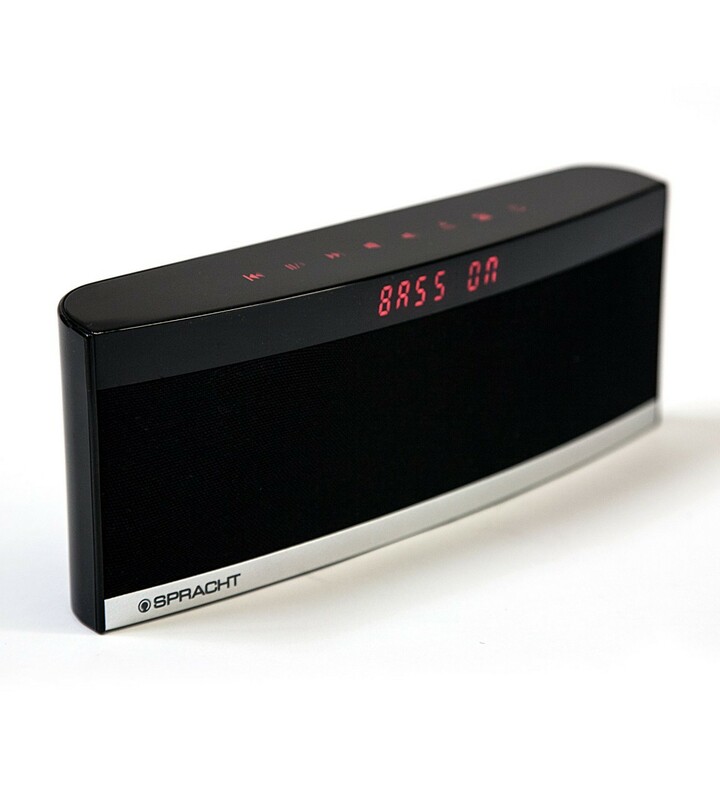 In addition, there is an led screen that lights up to tell you a caller ID, whether or not bass is on or off and the up and down of volume. I appreciate that the screen only lights up when it needs to so that it isn’t a distraction nor does it subtract from the look of the speakers. In addition, to the solid look of the speaker, the speaker is also made solid. It is made to be carried around so as such it is made pretty sturdy. It isn’t unibody but it doesn’t have to be, the different parts that make it up are put together tightly and no parts are loose. I do raise a slight concern with the rubber pads on the bottom, but I’ve never been a fan of these on any product so it’s so much the product itself, it’s just my prejudice against rubber pads on the bottoms of things since they eventually fall off. Also, I wish the speaker was available in other colors. Overall though, this speaker has great aesthetics in such a small package. One of the main points of this speaker is the fact that it is small and compact. However, at a $99 price tag, it needs to have a powerful punch in the small package. Fortunately, Spracht has delivered on that. The speaker, while small, has a good sound range. The bass and treble are both hit pretty well. The notes are hit and while it doesn’t sound like you are in a theatre or music venue, it still sounds great. In addition, the sound of a call on the speaker sounds like it would on a clear phone with great signal. In fact, it sounds better than listening to it to your ear. The screen will display a caller ID on it so you know who is calling. It does not show names of people who are calling so you will have to know someone’s number in order to recognize who is calling. I think that it would be great if the speaker had that capability. The speaker is all wireless, including the fact that it is rechargeable so it can literally go without wires including a power cord for several hours. That leads me to the battery. I have gotten great battery life on the speaker, with an average of about 5-6 hours which more than enough for me. If I needed to have it for longer than that, I would just get a corded speaker. The only problem I have with the speaker, and this is somewhat slight. Let’s say I am playing music and I pick up the speaker, I really have to watch where I pick the speaker up at because I might end up touching the buttons at the top, which are very sensitive. I may put the device on standby, change the song, pause it, change the volume all without intent. Of course, the buttons aren’t all bad, I appreciate that they are lit up at night so that I may see the buttons. However, I do wish they weren’t so sensitive. 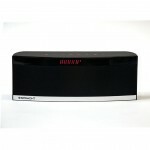 Overall, the functionality of the speaker is great and will impress anyone intending to buy a small, portable speaker. I believe that the company should try selling different colors on the speaker. I think that would attract the younger demographic. The rubber pieces at the bottom should be removed or make it better integrated with the speaker rather than just gluing it on. Finally, touch sensitive buttons are great but I think the product would do better with physical buttons that are engrained in the speaker. This is a great speaker that I feels earns high marks. It’s light, portable and still has a great sound. While I think it is a bit on the high end in terms of price, I personally think it is worth it. 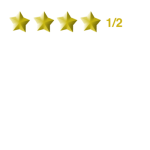 Great job Spracht, your speaker earns 4 and a half stars from me.